If you work with visual content on a daily basis, you know how painful it can be to source, edit and approve rounds and rounds of images. It’s a tedious task whether you’re working with an internal creative team, an outside agency, or just managing your own assets. That’s the problem Nathalie du Preez wanted to solve when she and her team built Bunchcut — making organization and collaboration on visual content easy and efficient. When Bunchcut launched in beta at the end of 2014 Nathalie used tools like Google Analytics, Intercom, and Mixpanel to gather data on how people were using Bunchcut. But they weren’t content just to watch from their cloud in the sky — Intercom, an in-app chat tool, let them easily ask users for direct feedback. Unfortunately, as they started to digest this veritable heap of information, they realized they were still missing a big part of the story. Putting the puzzle together with FullStory. In February of 2015, the Bunchcut team began using FullStory to find that missing piece of the customer success puzzle. “The visual experience that FullStory provides is really important for our team. Watching our users interact with the site led us to a much deeper understanding of what we needed to do to increase engagement,” according to Nathalie. In one case, Bunchcut’s analytics program was telling them the new board-sharing feature wasn’t getting much love: the total number of shares wasn’t increasing over time as they expected. People weren’t engaging with the new functionality, but numbers alone were unable to show why. They started watching user sessions in FullStory and immediately saw why. “We could see that users had no clue how the share feature worked,” in Nathalie’s own words. “The hesitation was clear from their mouse movements.” Understanding that, in its current form, the Share feature was confusing users, they were able to make changes to the copy and design. Their share numbers immediately started ticking up. On another occasion, the Bunchcut team identified a clunky process that users weren’t speaking up about: duplicating boards. Many of Bunchcut’s customers are agencies and freelancers who have multiple clients of their own. 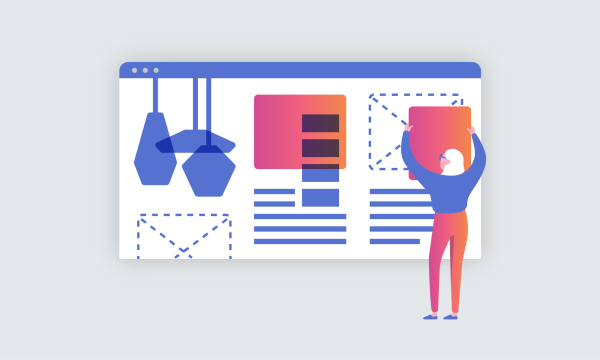 In FullStory, the Bunchcut team was able to see these customers manually creating new boards that had exactly the same content as old ones — presumably to share with a new client. So Bunchcut released a Duplicate Board feature that was received with great success.